If you don’t have any experience within the industry, here is your chance to get into the coffee market. Barista Ready – Module 1 is the ultimate barista training developed by Lecio Resmini from Background Coffee Roasters. Lecio Resmini has owned several cafes and a specialty coffee roasting company for over 10 years and employed a large number of people that he personally trained. So he decided to share his expertise create a Barista Course and guide students in every single detail needed to pass a cafe trial. 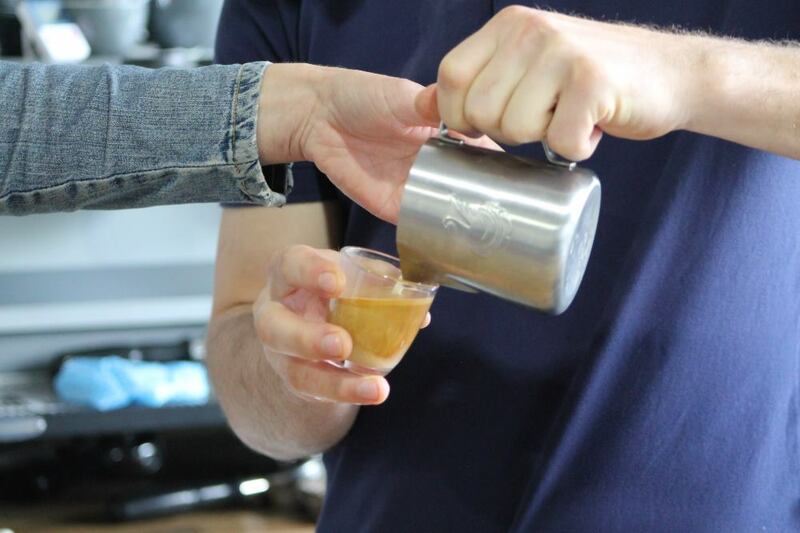 As a result, our Barista Training aims to provide the maximum amount of practical experience to the student by doing one-on-one, total hands-on training with a max of 2 students per teacher. In other words, we believe the only way to learn is if you practice. As a result, the course is 90% practical, so that all students will be fully ready for a Cafe Trial. You need to fully immerse yourself into the subject and the teaching practice. This training workshop encompasses 2 hours of lecture and 3 hours of tutorials on different days. 2 hours of lecture including practice and 3 hours of tutorial includes intensive coffee training. Acquires the minimum skills necessary to brew a coffee in order to pass a coffee trial. Be able to answer all basic questions and know some great tips and tricks for a job interview in a cafe in Australia. Learn how to control and rationalize all emotions that could affect the student performance during the trial. Become confident with the barista techniques to make a flat white, latte, cappuccino, piccolo, long black, macchiato effectively without any mistakes. Develop awareness regarding the correct attitude, emotion, availability and interest to get the job. Understand the scope of the coffee industry and all other job opportunities beyond being a barista. Register your interest and we will send you a password and instructions to complete your enrollment. Want to chat about our courses?